Purchasing physical gold and silver bullion bars and coins in Israel, offers many investors with a private and secure form of wealth preservation in times of economic and political uncertainty. iGold is Israel first precious metal dealer located in Eilat, Israel to offer private individual the ability to buy gold and silver bullion bars and coins at 0% VAT, with no reporting obligations to the Israel Tax Authority or the IRS. Today gold and silver are not used as currencies, people do not use them in circulation. However the use of gold and silver as money makes it vastly superior to any paper currency in every way. ALAN GREENSPAN: Yes… Remember what we’re looking at. Gold is a currency. It is still, by all evidence, a premier currency. No fiat currency, including the dollar, can match it. Gold and Silver were both chosen by man as a physical representation of money/wealth and have remained the longest globally accepted currencies throughout history. Gold and silver have remained the best stores of value for over 3,000 years. 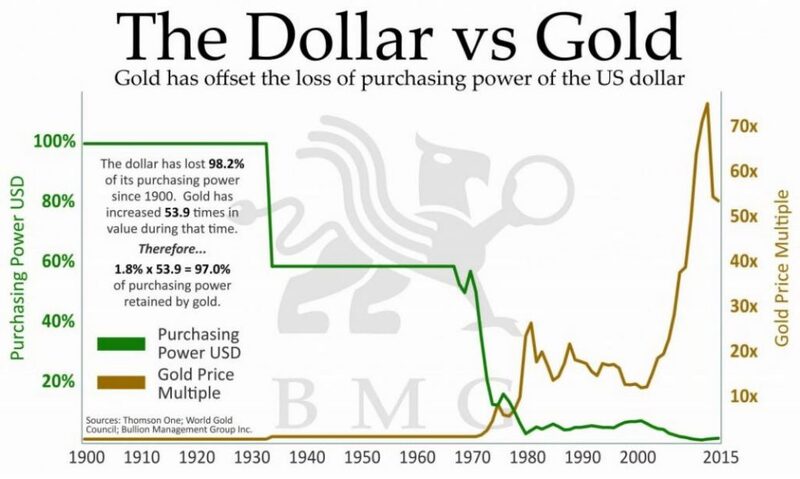 The above graph shows that since 1900, physical gold has been the best long-term store of value compared to the US Dollar (the current world reserve currency) and its value has increased to offset the loss of purchasing power of the US dollar.. There have been short periods of time where paper currencies have grown in value more than gold, but over the long-term, one can see why the rich have always held physical gold. Gold’s price does fluctuate, but its value is eternal. You should consider how gold will preserve your purchasing power over the next, 5 to 10 years compared to the Israeli Shekel. All paper currencies (including the Shekel), by their very nature, lose value over time. The Shekels you save in your bank or brokerage account will continue to lose purchasing power year over year. Conclusion: Physical gold held outside the banking system, is one of the most secure forms of long-term wealth preservation that there is. It is also an ideal asset to consider owning when one considers your children’s inheritance; because over decades, gold and silver have always outlasted all other fiat currencies in terms of purchasing power. If you buy physical gold and silver, it is a form of wealth that you can hold in your hand, something you can’t do with most any other investments, such as stocks and bitcoin. Real gold cannot be destroyed by fire, it does not rust in water and will never corrode even over thousands of years of time. 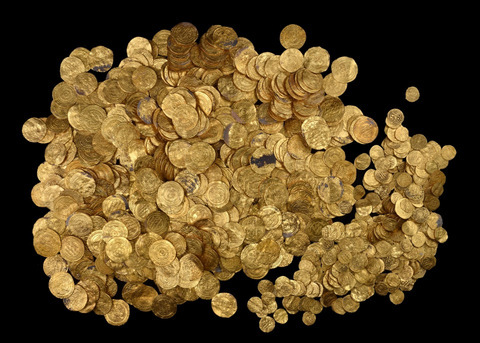 Unlike other commodities, gold doesn’t need to be maintained; often in the news we hear of gold coins being dived out of the ocean near Caesarea after 2000 years, just as beautiful as the day they were lost. Those that criticize gold often do so because it does not produce revenues, but they misunderstand gold role as money. Gold and silver are money and like all currencies, they so not produce income. Money’s function is to be a store of value. This is also why gold should not be viewed as just another commodity; gold is not consumed like oil or corn, since almost all the gold ever mined is still in existence, owned by private investors, government central banks and worn in the form of jewellery. Since gold in a physical asset: it can’t be hacked like bitcoin or its value erased through inflation. Gold and silver bullion is out of reach from hackers and identity thieves. In today’s economy, it is a good idea to have some of your wealth in a digital form, because if the internet is not available, then gold and silver bullion coins that you physically own and possess in Israel will not be affected. In fact, in such a scenario, they could be your lifeline. Conclusion: Physical gold is not subject to the risks that come with paper and electronic assets. Physical gold and silver bullion cannot be hacked or its value erased through inflation. If you own gold and silver bullion in Israel, it carries no counter-party risk, this basically means that the value of your gold and silver does not rely on someone else fulfilling an obligation towards you. 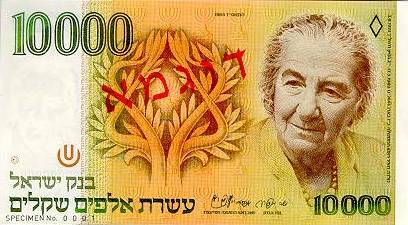 As an example: The Israel Shekel has counter-party risk. Even if you keep your Shekels in your pocket, it’s destined for theft from the largest counter-party in Israel, the Israeli Government. Its banker, the Bank of Israel, issues those paper Shekels, and the Israeli Government forces you to use them by Law (which effectively gives a worthless piece of paper value). The theft then comes in the form of inflation or money printing, which seriously erodes the purchasing power of your Shekels, year after year. In contrast, a Gold and Silver bullion coin does not have any counter-party risk. It’s a coin with an intrinsic value. If the Israeli Government decreed a value onto that coin, there’s a risk that such decree may change or be undermined. Gold and Silver however are valuable just because of their physical characteristics as Money, and not because the Israeli Government has forced a value upon it. Gold and silver are the only financial assets that is not simultaneously some other entity’s liability. This is important because gold and silver are always the last assets remaining when financial bubbles pop or a crisis hits. That makes gold and silver very powerful tools to have in your portfolio when things start to go wrong in the country or the economy. It also means gold will never go to zero. It’s never happened in its 3,000+ year history. That’s a powerful feature, especially if you asked former shareholders of companies like Bear Stearns, Enron, or Lehman Brothers. Gold will always have value. You can always sell it if you need paper currency. Conclusion: Physical gold and silver are intrinsically valuable, their value is derived from their unique characteristics which make them money. Gold and silver bullion will never default on promises or obligations. How many assets can you say that about in today’s world? If you want a little privacy, physical gold is one of the few assets that can provide it. In Israel, ownership of physical gold and silver bullion stored in your private name outside the banking system is not reportable to the Israel Tax Authority or to the IRS. Note that if you sell your coins, then you must let your accountant know to report any taxable capital gains on your income tax return at 25% in Israel. Gold is one of very few investments that can be anonymous. If you choose, no one has to know you own it. Virtually all other investments you may make do not have this benefit. Conclusion: If you want a private or a confidential form of wealth, gold and silver are two of few assets that can offer this in Israel. Gold is an ideal asset to own because a very high amount of wealth can be stored in a very small area. Gold is very easy to sell in Israel and it can be carried in your pocket anywhere you go. Gold is highly liquid. Virtually any bullion dealer in the world will recognize one of the popular Government Minted bullion coins such as the American Gold Eagle, the Canadian Gold Maple Leaf, the South African Gold Kruger Rand or the Austrian Gold Philharmonic coins and buy it from you on the spot. You can also sell it to your local jeweller, a private party, or an online dealer. It can always be sold for cash or traded for goods very easily. The process is frequently quicker than selling a stock in your brokerage account, which can take three business days for settlement before cash can be transferred to your bank account. And other collectibles, like artwork and jewellery, could take longer to sell and have a smaller customer base, and would likely entail a big commission. Gold’s liquidity means you can take it with you literally anywhere in the world. In Israel, there are no restrictions when travelling inside Israel or when leaving Israel the country with precious metals on your person. One of the first questions a first time buyer of physical gold will ask is what the cost of storing it will be. Although professional storage does come with a annual fee, the costs are very affordable. iGold offers segregated and allocated precious metal storage for only 0.75% per year. This is a very low cost if you compare it to the headache and what you would need to pay to maintain other assets such as real estate or a brokerage account. iGold uses the professional services of A-Team Security Solutions Ltd, Eilat’s premier storage and security agent. All products stored through A-Team all fully insured for the underlying precious metal content. 0.75% per year for 100% peace of mind. 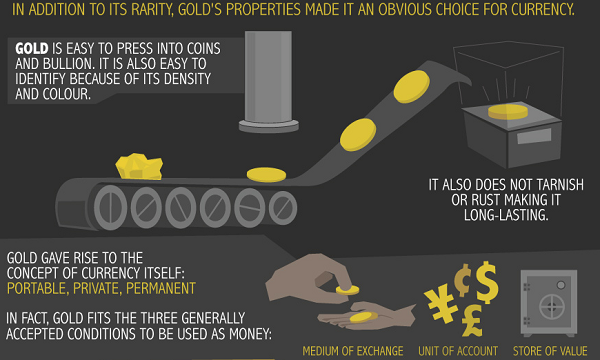 Keep in mind that gold is highly portable, meaning that a very high value can be stored in a very small area. You can easily hold $50,000 of gold in the palm of your hand which means you can even store it in a small secure space in your home. Conclusion: Gold storage is low maintenance, affordable and requires very little storage space. Can you spot a real diamond? Can you look at two paintings and tell which is a fake Van-Gogh? What about stamps, jewellery or antique pieces? 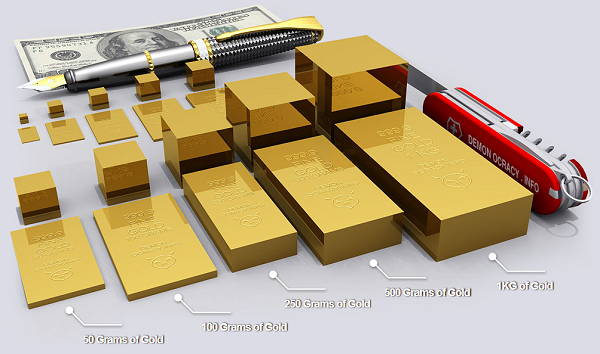 Gold bullion requires none of this. No special skills, training or equipment are needed, you don’t have to be an expert. Buying gold bullion is relatively straightforward, you do not need to be a professor of precious metals. Gold coins fall into two basic categories: standard bullion coins and numismatic (rare) coins. Bullion coins simply refer to gold coins that are made almost exclusively from precious metal, in this case gold. Their attraction is that they consist of highly refined gold and are viewed primarily as an investment. Some bullion coins have an alloy to make the coin more durable, since gold is a “soft” metal. Bullion coins are not regarded as a “collector” coin, which is a different class of coin (though all gold is taxed as a collectible). You can buy bullion coins from a number of government mints that produce them each year. These are generally referred to as “sovereign” coins, meaning they are manufactured (and in most cases guaranteed) by that government. They also come with a face value (except the South African Krugerrand). These face values are mostly symbolic at this point, since the gold content of the coin makes them worth a lot more than the value printed on the coin. But each government guarantees they will always be worth the amount stated. As an investor, you want to buy something that won’t just rise in value, but that will also be easy to sell. In Israel, gold and silver government minted bullion coins are highly recognisable and very easy to sell. Conclusion: You do not need any special skill or expertise to buy physical gold and silver. You don’t have to be a conspiracy theorist to understand that governments alway overreach their powers. The government can freeze bank accounts, tax wages and even confiscate funds. In Israel we commonly have customers telling us that their own bank will not allow them to transfer their own money without completing mountains of paperwork. In an economic or financial crisis, these government actions increase. The government desperately needs revenue and they tend to be more aggressive in their enforcement. Or they simply pass or bypass laws and regulations to suit their needs at the time. It’s happened with virtually every government throughout history and it will certainly happen again, especially in a crisis situation. There are very few ways to protect against such actions by an overbearing government, but one of those ways is by holding physical gold and silver outside of the banking system. Diversifying internationally sounds complicated, but storing some physical gold outside your home jurisdiction today is not difficult. It’s as easy as opening a bank or brokerage account. And by doing so, you buy yourself some time in a worst case scenario. Even if you never have to use this “plan B” money, it’s like an insurance policy against aggressive or unfair political actions. You could even someday use the proceeds of any sales to invest in other options that may not be available in your home country. It’s a good idea to keep some of your wealth outside the banking system and also outside of your country. Conclusion: International gold storage is simple to implement and can provide financial flexibility and investment options outside your home country. iGold is the only Company that can store gold and silver bullion coins in Israel at 0% VAT in your private name with no reporting obligations. One of gold’s greatest advantages is that it can protect your purchasing power during periods of economic, monetary, or geopolitical crisis. And depending on the nature of the crisis (in Israel its is commonly war with our arab neighbours) gold can move from a defensive tool to an offensive profit machine as the government is required to borrow money to finance the war and the economy of Israel starts to depress. When a crisis strikes and drives fear higher—whether it’s from investors worried about the stock market or a full-blown event affecting the livelihood of all citizens—gold is a natural safe haven. Fear is what drives people in a crisis, so the greater the worry the more gold is sought and the higher its price goes. Volumes could be written about the various crises that are possible today, but the main point is that the level of risk in our economic, fiscal, and monetary systems is more elevated than ever. There are so many risks present today, in fact so many, that the gold price is likely to make new all-time highs in response to some of these crises playing out. Here’s the kind of potential that gold has… the second half of the 1970’s was a troubling period in Israel, inflation and unemployment rose and during mid 1980’s Israel’s Shekel collapsed. The Shekel was replaced by the New Shekel. How did gold respond during this period? From its low in August 1976 to its January 1980 high, gold rose 721%! Gold is usually about security, but in addition to its wealth preserving power, gold also offers large speculative potential, given the precarious nature of Israel’s economic, financial, and monetary system today. The core reason for this is due to the growing supply of fiat currencies and mounting debts around the world. This tells us that the fallout could be much worse than usual—and the greater the fallout, the higher gold will go. Conclusion: In a world of heightened risks on multiple fronts, gold offers the lowest risk, greater safety and a bigger upside than any other investment. HOW MANY INVESTMENT OFFER THESE ADVANTAGES? 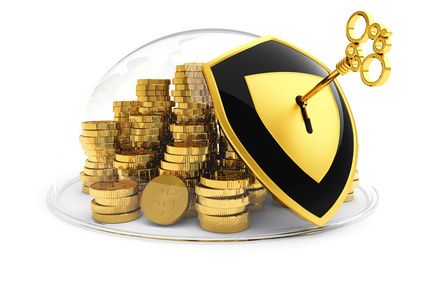 1 Gold is money Physical gold is one of the best forms of long-term wealth protection. It is ideal for your heirs since it will outlast any currency they may use in the future. 2 Gold is a tangible asset Physical gold is not subject to the risks that come with paper assets. It can’t be hacked or erased. 3 Gold has no counter-party risk Physical gold cannot go bankrupt or broke. Gold bullion will never default on promises or obligations. 4 Gold in Israel is private and confidential If you want a private or confidential form of wealth, gold is one of few assets that can offer anonymity. 5 Gold is liquid and portable Gold is easily convertible to cash, and can go with you anywhere. 6 Easy to store, affordable carrying costs Gold storage is low maintenance, low-cost, and requires little space. 7 Gold requires no specialized knowledge No special skills or expertise is needed to buy physical gold. 8 Gold can protect against government irresponsibility International gold storage is simple to implement and can provide both financial flexibility and investment options outside your home country. 9 Gold protects in times of crisis In a world of elevated risks on multiple fronts, gold offers lower risk, greater safety, and bigger upside than any other investment.